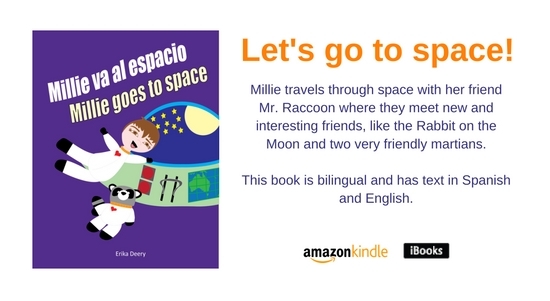 Get a free copy of my bilingual ebook for kids Millie va al espacio/Millie goes to space. Join my newsletter and I’ll send you the occasional news, updates and relevant promotional material. You can unsubscribe at any time.